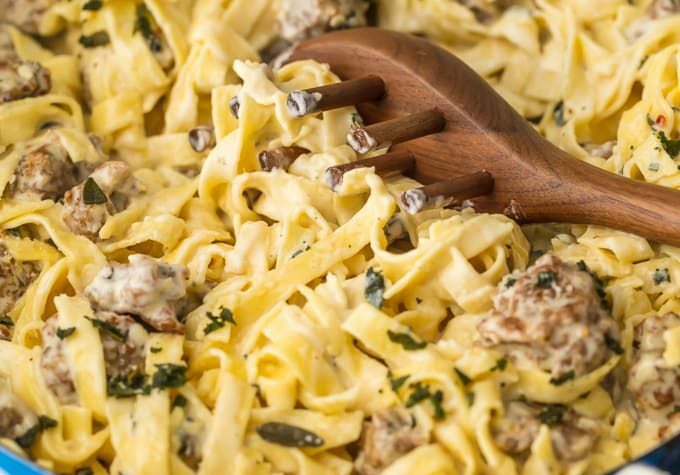 This SAUSAGE ALFREDO recipe is a tasty mix of classic Fettuccine Alfredo and spicy Italian Sausage. A lot of fettuccine recipes feature chicken or seafood, but there just aren’t enough Sausage Pasta Recipes out there. This Italian Sausage Pasta recipe is the perfect pasta dish for your next dinner! 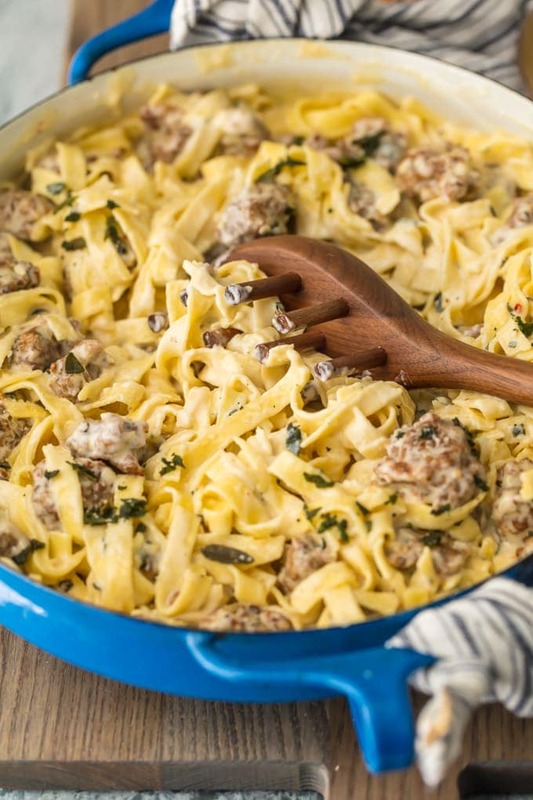 Sausage Alfredo is a tasty mix of creamy Fettuccine Alfredo and savory Italian Sausage. I don’t know about you, but I feel like there just aren’t enough Sausage Pasta Recipes out there. It’s all about the chicken and seafood (which I love, by the way), but I wanted a good Italian Sausage Pasta for a change. 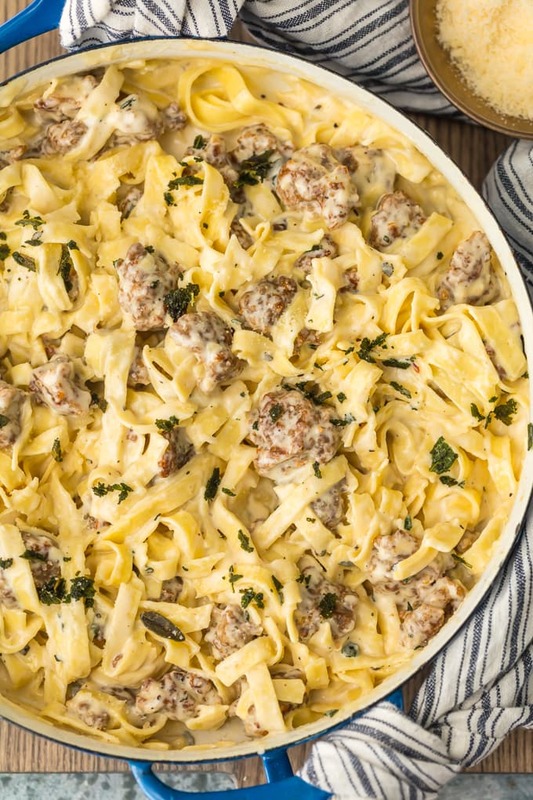 This Sausage Alfredo is the perfect solution that problem! 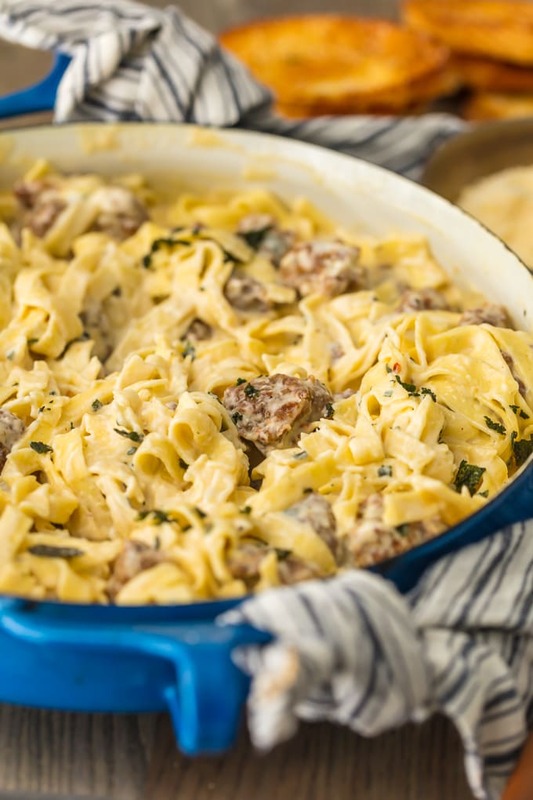 You can’t go wrong with a classic, creamy Fettuccine Alfredo recipe, and when you add hearty chunks of Italian Sausage…even better! Fettuccine Alfredo with Sausage is the perfect combination! 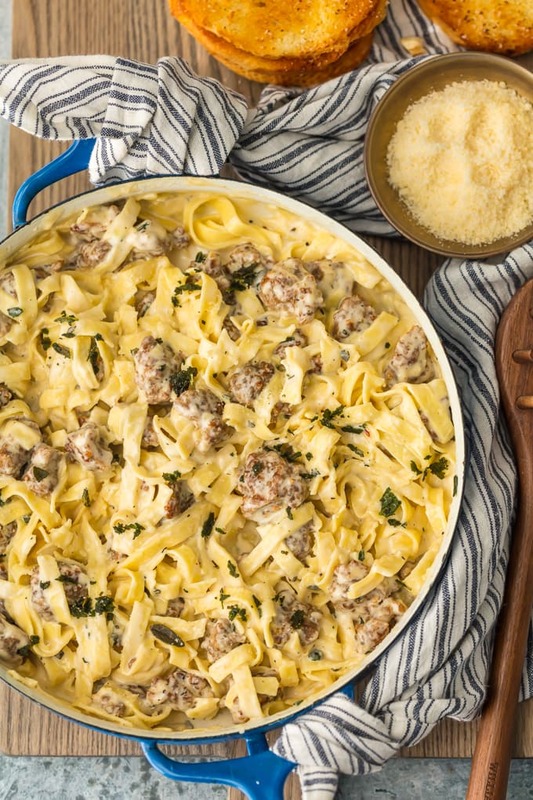 Try this Italian Sausage Alfredo for your next pasta dish. Fettuccine Alfredo is a classic pasta dish loved by all. That super creamy Alfredo sauce is just so delicious! Add some Italian sausage, and now I just can’t get enough. 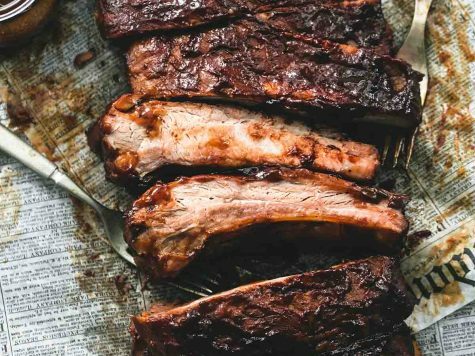 This is the type of comfort food that we love to have on the weekend as a special meal. It’s not difficult, but it can still be fancy. SO yummy, creamy, and tasty. 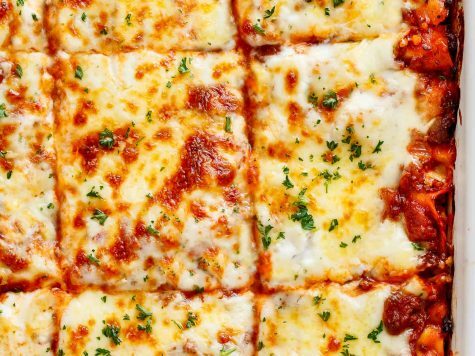 The flavor combination is OUT OF THIS WORLD and I just know you’re going to love it! Ohhh I just can’t get enough of this creamy homemade Alfredo sauce! It’s easy to make and so delicious. Alfredo sauce is essentially just heavy cream mixed with butter and some garlic or other seasonings. For this Sausage Alfredo recipe, we’re going to make the sauce in the same pan that we used to cook the sausage. 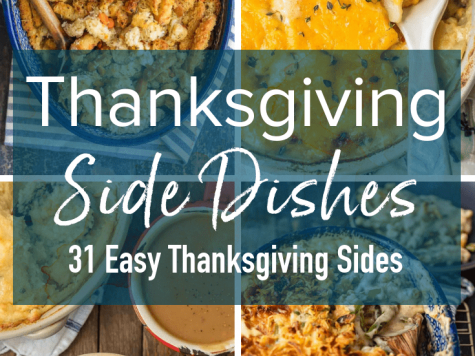 Not need to create more dirty dishes than necessary! Once the Alfredo sauce is done cooking, you can add the sausage back in to mix it all together. How do you make Fettuccine Alfredo with sausage? The first step in this Italian Sausage Pasta recipe is to cook the fettuccine. You want the pasta al dente, so cook it in a large pot of boiling water for about 8-10 minutes. While the fettuccine is boiling, go ahead and cook the sage in oil, then move straight on to the Italian Sausage. 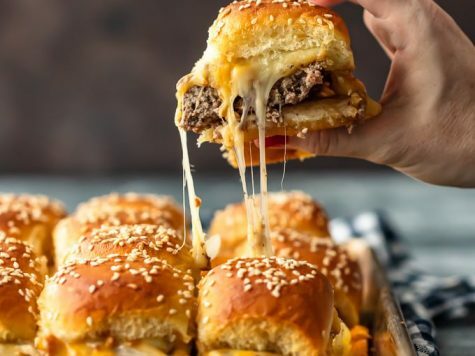 Create bite-sized pieces of sausage, let them cook through, add in the garlic, and then remove them from the skillet and set them aside. Next you’ll cook the homemade Alfredo sauce as outlined above. Once the fettuccine is cooked, drain the pasta, and add in the Alfredo and sausage. All done! You’ve got a tasty Sausage Alfredo ready for dinner. See recipe card for full instructions. 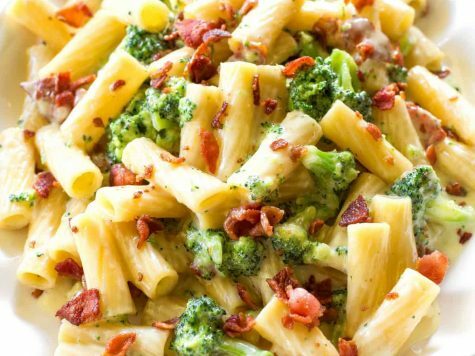 I hope you try out this amazing Sausage Alfredo! 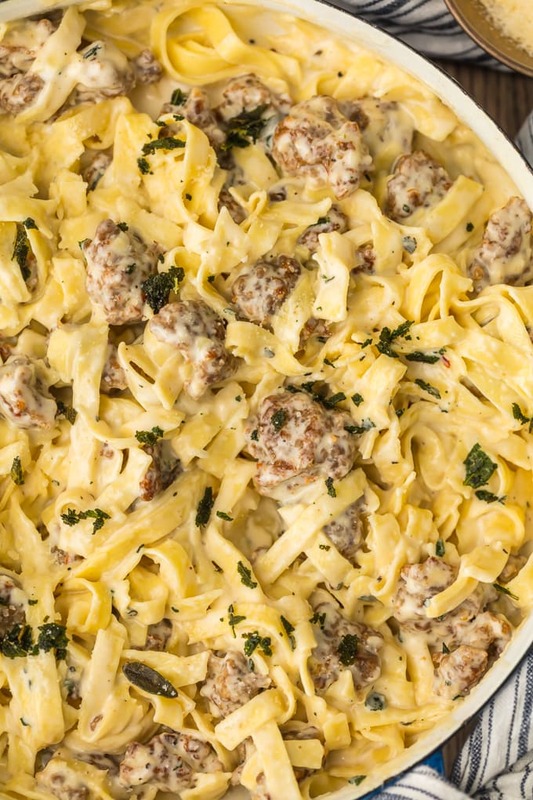 There’s nothing better than creamy Fettuccine Alfredo and flavorful sausage. This Italian Sausage Pasta Recipe is one of my new favorites for when I need a break from chicken (which is never, but just in case). See the recipe card below for details on how to make Fettuccine with Italian Sausage Alfredo. Enjoy! Cook fettuccine per package directions al dente. While the fettuccine cooks, heat a large skillet and add the oil. Heat the oil until it shimmers and fry the bay leaves (it only takes a few seconds), in batches, until all are fried. Leave the oil in the skillet and transfer the bay leaves to paper towels to dry. Separate the sausage into bite-size chunks and sauté them in the oil just until cooked through (don’t overcook or sear). Add the minced garlic and cook 15-30 seconds or until the garlic softens and blooms. Transfer the sausage to a plate and set aside. Pour off the fat from the skillet while trying to preserve as much garlic as possible. Add the cream and bring it to a low boil while scraping the bottom of the pan. Reduce the heat and return the sausage to the skillet, and season with salt & pepper, to taste. Remove from the heat. 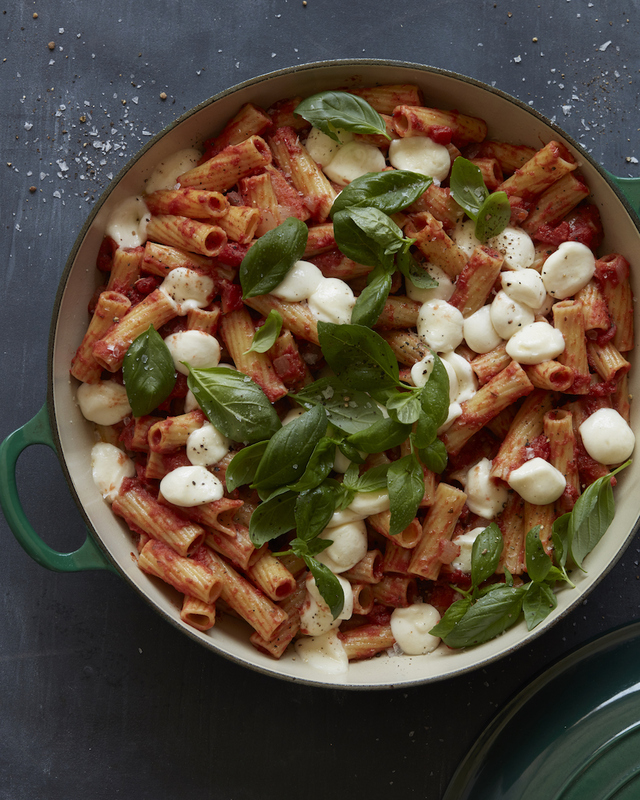 Drain the pasta and place it on a large serving platter or bowl. Pour the sauce over the pasta, toss gently and sprinkle on the fried sage leaves.